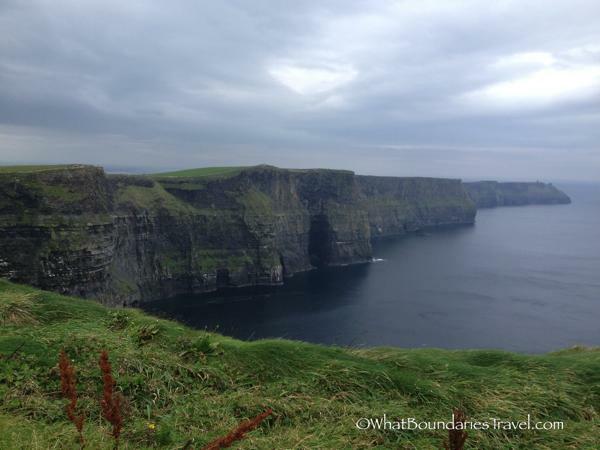 A Legend of the Cliffs of Moher - The Lost City of Kilstiffen > What Boundaries? Live Your Dream! The monumental and majestic Cliffs of Moher, along the wild Atlantic coast of Ireland, are much more than the country’s number one tourist destination. They are the stuff of which Irish legend and folklore is found. From magical horses, witches and warriors, and mermaids that pine for the sea, these Cliffs of Moher Legends breathe life into the ancient stories that make Ireland such a fascinating place to spend time. “If you look south towards Spanish Point, you might see an area of disturbed water. This marks the location of the ancient city of Kilstiffen or Cill Stuifin (also called Kilstapheen or Kilstuitheen). Legend has it that the city sank when its chieftain lost a golden key in battle – a key which opened the door to an important castle. The city will not be restored until the key is recovered from its unknown location – some say it lies under the ogam-inscribed gravestone on Slieve Callan, east of Milltown Malbay, while according to others it was thrown into the little lake on the top of that mountain. No one knows for sure. The city, with its golden-roofed palaces, churches, and towers, may at times be seen shining far below the surface. Once in every seven years, it rises above the waves. But beware!! It is said that those who catch a glimpse of this city will die before it appears again. The Living Past of the Cliffs of Moher begins with the first sighting of man and stretches back nearly 2000 years. A visit to the Cliffs should also include a look at that history with a trip through their World Class Visitors Center. Bringing into perspective all the aspects of nature, geology and history of this magical place, it’s no surprise that the Cliffs of Moher is considered one of the natural wonders of the world! Wow, we’d never heard of this before. Thanks for enlightening us. Although the Canary Islands have been rumoured to be the hidden peaks of Atlantis.